Will it be door number one or door number two? That’s the decision you need to make when joining new fashion affiliate programs. Door number one leads you down the affiliate aggregator road where you join sites like Skimlinks and get instantly approved to thousands of affiliate programs – skipping the tedious bits of affiliate marketing, like managing all those links and tracking multiple sources of revenue. Door number two takes you in another direction where you wind up working with product companies directly, usually through their own self-hosted platform or a large network like ShareASale. Some fashion bloggers start with door number one and once they get more comfortable with affiliate marketing, make their way to door number two. However the majority stick with the convenience of affiliate aggregators because they’re unaware of the benefits of working with companies directly. You won’t pay fees. 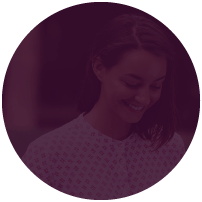 Most affiliate aggregators take a percentage of your commissions, but there are no fees when you work with a product company directly. Some affiliate aggregators will argue that they can get higher, VIP commissions but when you do the math, it’s about the same or less than if you went direct. Plus those higher commissions are only applicable to some programs in their system, not each and every one. You don’t need a traffic minimum. The majority of product companies you partner with as an affiliate have no minimum traffic requirement you need in order to join. If they did, steer clear of them because that’s bad business in my books. On the flip side, some aggregators won’t accept your site if your traffic level or social media following isn’t at a level they deem worthy enough. 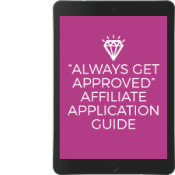 My affiliate application guide explains this in more detail. There’s more programs. Some companies I’ve worked with or come across won’t work with affiliate aggregators, meaning you can't promote the company as an affiliate unless you work directly with them. What’s worse is many of those programs have high commission rates so you’d miss out on some lucrative opportunities by forging direct relationships altogether. You get to make friends with your affiliate manager. Speaking of relationships, it’s in your best interest to get friendly with your affiliate manager because most (myself included) offer exclusive commission rates, promotional collateral and even high profile opportunities if they have a stronger relationship with you. But it’s nearly impossible to build that kind of rapport when you’re exclusively working with middle man aggregators. Going direct sounds pretty rad, right? I’m glad you think so! 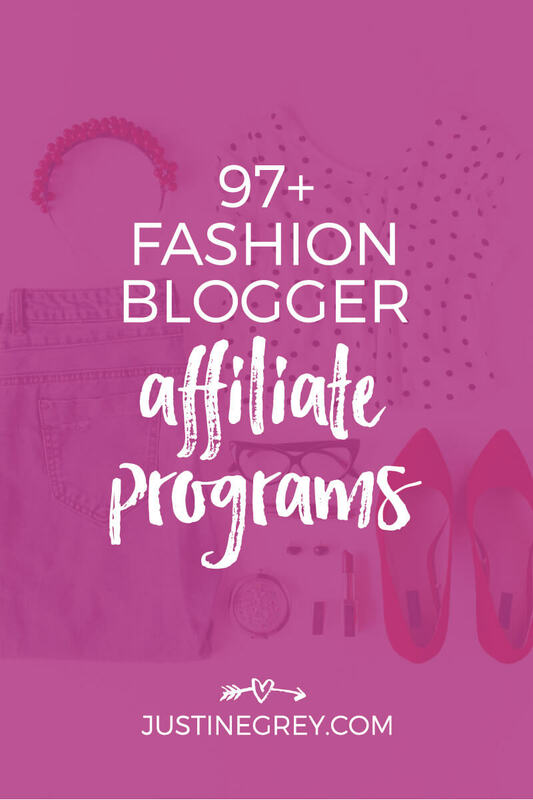 To give you a final push through door number two, I’ve curated a list of 97+ fashion affiliate programs you can work with directly, ranging from clothing affiliate programs to subscription box affiliate programs and everything in between. Looking for more ideas? Check out my list of 503+ affiliate programs across many categories too. 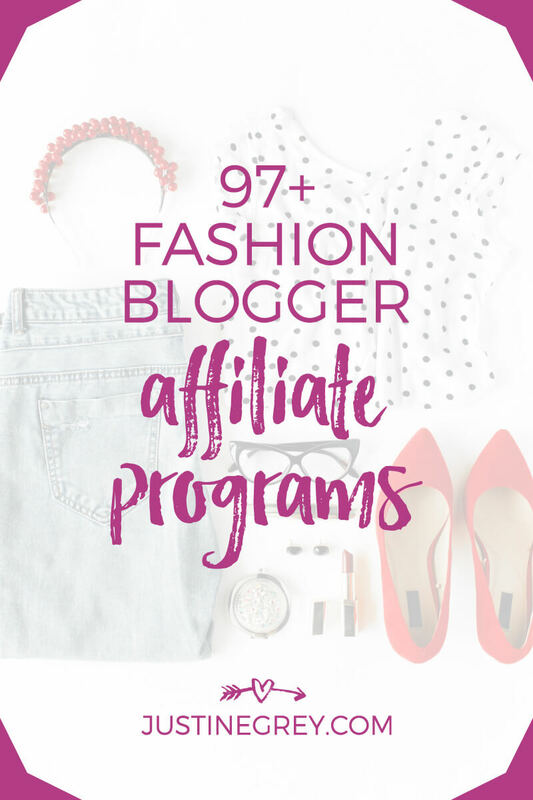 What fashion affiliate programs do you work with directly? If you’re looking for more programs to join, stop by my directory of 503+ affiliate programs. Very generous list. Thank you. If you wouldn’t mind listing our website, 20 Phazed Fashion . com , we offer 15% commission on sales. Users sign up through refersion. I would greatly appreciate it. 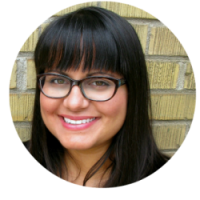 Hi Cinna, thanks for sharing your program. I’ll definitely consider it in a future update. there is no such as website? Hey Zara. I’m not sure which program link gave you an error, but I’m happy to report that the post was updated yesterday so all of the links are now working. All retired/closed programs have been removed and the list is now expanded to 97+ fashion affiliate programs. Have fun exploring! What about kids fashion affiliate programs? Particularly youth, tweens, male and females from ages 6 and above? Hey Nana – I’m working on a list for kid’s affiliate programs. In the meantime, you should be able to find lots via ShareASale‘s search or on Google. Thank you for the list. Are there any affiliate programs that have an unlimited cookie length? Yes there are programs that have unlimited cookie length but I haven’t come across a ton in the fashion niche. The standard ranges between 14-90 days. The programs that will offer unlimited cookies or longer cookie windows are usually business related or being run on a network like AffiliateWP which automatically does 365 day cookie windows. Hope that helps! I’m the founder and development manager of a small clothing brand. I would love to know what incentives bigger clothing stores offer their affiliates in terms of free or discounted items. In particular I’m very curious about lulus.com, but really I am just somewhat clueless. I know some give free and others give a discount. I also know it depend on the person. In particular I’m wondering about smaller influencers and whether or not I should give free things to them. There is no guarantee that they will wear it and a few months in of giving away free items only about half of the people I gave free items to posted about it. Any advice would be amazing and thank you for your time! It all depends on the brand. Many clothing retailers will send free clothing out to influencers in order to get more exposure. This is different from affiliate marketing, but with a similar goal (increase traffic/sales). For Lulus, you can see they do this with a quick YouTube search. Many influencers there are writing about clothing hauls from the brand and specifically thank them for the free stuff (which is a must, they have to disclose this). No, there isn’t a guarantee they will wear your stuff. What you can do to mitigate this is to set up a contract ahead of time that sets out exactly what you’d like to get from them (X number of blog/social posts with links back to your site etc.) in order for $X amount in free clothes. Perhaps let them choose specific pieces so they get what they like vs. you sending them stuff they wouldn’t wear and then they don’t promote you. Not all will be open to a contract, but many will. Brands do this all the time. Hey Justine, thanks for the exhaustive list! Are there any fashion, health and beauty, home decor affiliate marketing programs that don’t require a person to already have an established website or blog site? Hey Sheree – Yes there are tons of programs out there like that. Each program is different as it’s all up to the affiliate manager who runs the program so you won’t know until you apply and hear back. I myself approve affiliates that don’t have an established blog or website BUT that’s only if they include a link to a verifiable social media profile that shows content related to the program I’m managing. When you apply, make sure you a) include a link that shows more about who you are and why you’d be a fit for their program (i.e. your social media profile or a little one-page website with info) and b) a personalized note that explains why you are a fit and how you’d be promoting them. Most affiliates without established websites don’t do this, and then they get declined and think it was because of their lack of website. Hope that helps! Hi Justine. Great list here! Would you ever consider doing this list as it applies to the home decor/furniture realm? That would be SUCH a GREAT resource. I think it’s a huge category and it’s right up there with fashion. Anything like this in the works? Would LOVE to have access! Great job. Thank you! Hey Allegra – thank you for your kind words. Thank you so much for all the information you have provided, it’s a great help to those of us that are new to affiliate marketing . Would you be able to discuss if there is a specific way to search for Fashion merchants that are not part of Shareasale / MagicLinks etc? I have applied to both and am still waiting for a reply. I have spent hours going to different fashion sites but they ultimately end up being partnered with one of the larger programs. I’m very new and I’m not sure how to find smaller companies to partner with. Any suggestions would be greatly appreciated. Thanks again! 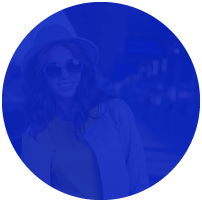 Besides Googling or checking the footer links of the individual fashion brands you want to work with, you could also join a few other affiliate networks (such as LinkShare) and then search by fashion within those networks. 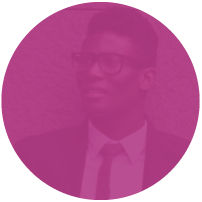 Having a network or two makes things a lot easier for you because as you find them, you can quickly apply. Good luck as you get deeper into your affiliate adventures. Thanks for including Jane.com on your list! We are honored!!! Hi Justine that’s all interesting. But a question: All this programs (affiliate) are for usa publisher…maybe some ideas also for europe? It depends on the program. Each one has their own rules and decides which affiliate countries they work with. I will definitely be expanding the list to better help those not in the United States. Stay tuned. Hi Justine! I dont want to waste your time and I am completely and totally new at this. But i was just wondering if you could give me your advice on where to start research and gathering info on building a website where i can sale other clothing companies product. Do affiliations and drop shipment agreements and such? Im just looking for a good place to start and dont want to learn a bunch of the wrong information. Id like to build a website and start selling clothes we purchase at the Dallas and LA buyers market, and hopefully team up with some like companies that carry similar products to what we want to put out and sale them on our site as well. Any advice or direction from you is more that appreciated. Thank you Justine! I recommend checking out my friend Richard’s site – How To Build a Better Lemonade Stand. He’s a former Shopify employee who branched out with a site all about eCommerce, drop shipping and more. You’ll find everything you need over there – including this post I wrote about creating an eCommerce affiliate store. Good luck Brad! Hey, Justine. Glad I reached your site. Any chance you can featured our new born swimsuits website in your list. We are a member of shareasale and we provide competitive sale commissions to our value affiliates. We featured with Off the shoulder with high waisted swimsuits. Hope you can help me on recruiting affiliates. I’d be happy to add you to the list for the next update. Your swimsuits look amazing! Few months ago, I started a website for selling shoes through affiliate partnership. I had to walk away for sometime, but I have returned to the site tonight to resume working on it. However, I previously was having a tough time with the big “Affiliate Centrals – as I call them- such as Rakuten, and the likes”. I feel as though it was a gift finding your site. My question is, the above listing seems to include fashion/clothing companies. Do you also have links for shoe affiliate companies? Glad to hear you are back at it. I will make a note to add shoe affiliate companies to the list at the next update. In the meantime, you can search by keyword and category in ShareASale or other affiliate networks and find some good options that way. You can also link to shoe sections for major brand affiliate companies (ones that carry clothing usually have shoes) or via Amazon categories as well.